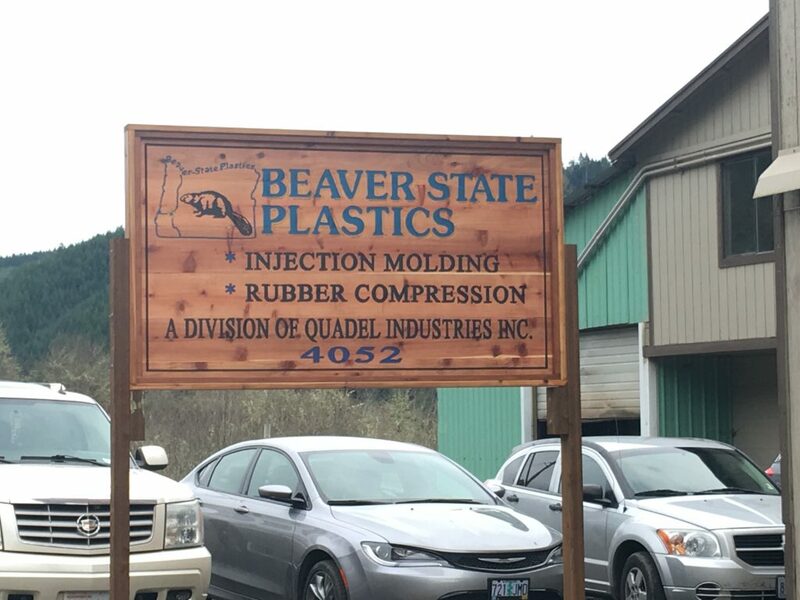 Beaver State Plastics is located in western Oregon in a rural setting. We are unique in the molding field because of the ability and facilities to do both plastic injection molding and rubber compression molding. We have a large site that enables us to maintain an inventory for our customers’ immediate shipments. Beaver State Plastics specializes in short and medium-run parts which include parts for industrial machines, sporting goods, tree faller wedges, totes, lambing products, irrigation accessories, skiing accessories, stereo consoles and miscellaneous other consumer products. We use a wide variety of plastic resins that best suits the performance of the product including high impact ABS, filled resins for strength, special resin for thick wall molding, nylon and thermoplastic elastomers. In our rubber department, we supply irrigation valve discs, grommets, rollers and bellows to name a few. We do rubber to metal bonding, insert molding, transfer molding along with secondary operations which include sonic welding, pad printing and assembly work.